A classical Crème Ninon, is a soup with a base of a heavy stock purée of green peas and dry champagne. It is flavored with lemon and some dry sherry (as well as salt and pepper). Just before serving it is topped with some whipped cream and champagne. The brand Findus makes a very good and sweat pea named Ebba, which I like a lot. 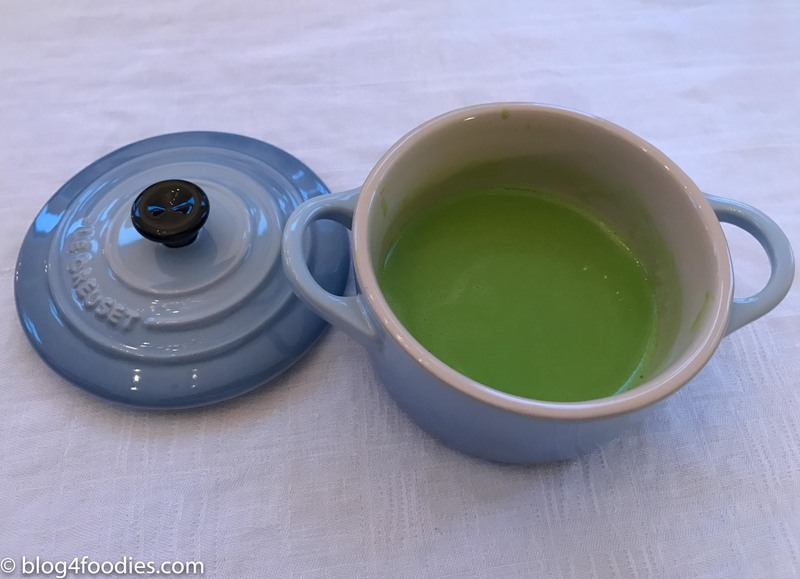 Instead of following the classical recipe I used the one described in the Modernist Cuisine (“big” volume) where I started to centrifuge the blended peas and collect the pea water. After that, I blended the pea water with some frozen peas and some heavy cream in a Pacojet beaker (and put it in the freezer). Just before service I pacotized the full beaker and warmed it to just below 60 degrees Celsius. I forgot to salt it, but in hindsight I don´t think it was necessary. 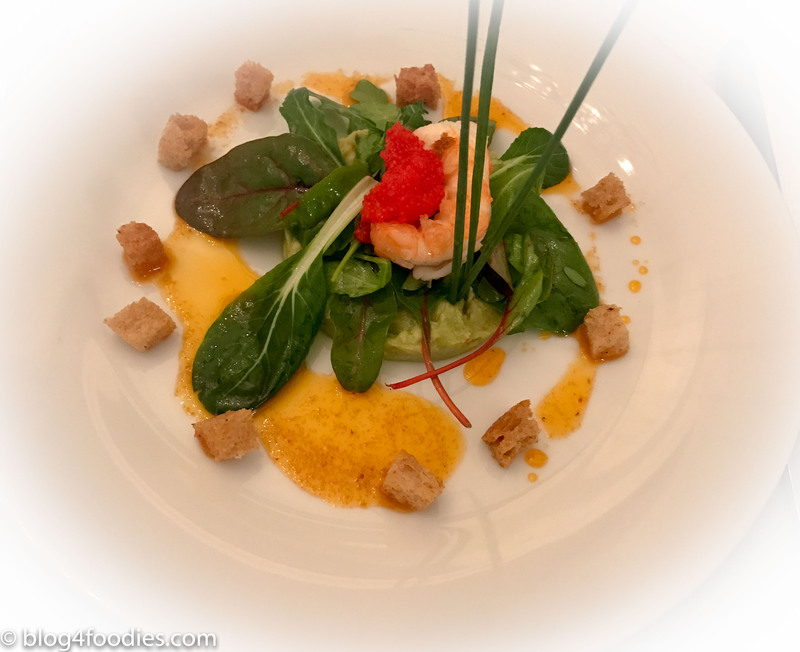 The green pea soap was served with an excellent matured Veuve Clicquot La Grande Dame from 1996. Unfortunately, I forgot to take pictures on many of the dishes this night… That being said, this was a good mushroom risotto done with homemade vegetable stock and the world famous Acquerello rice. Acquerello is the ultimate Carnaroli Superfine rice, produced and packed by the Rondolino family on the Tenuta Torrone della Colombara Estate, in the heart of Piedmont’s Vercelli province. After harvesting, Acquerello undergoes an aging process; then is slowly refined with a special machine called the helix and finally enriched with its own germ by a patented process. The steps of aging, refining and enriching are indeed the ones that makes Acquerello tastier, richer and healthier. Acquerello rice is famous among chefs and gourmet lovers and is considered the best rice in the world. Served together with a really good Salon from 1997. Forgot to “document” this amusement as well… Anyway, this little teaser was inspired by my dinner at Maaemo (Oslo/Norway) where I had a similar dish. The cheese used is named Boltjärn Blå, a Swedish blue cheese from the dairy stream at Ånge. Manufactured with both pasteurized and unpasteurized sheep’s milk, which is strong in flavor but not sharp. Similar to the “real” Roquefort cheeses to some extent, but with a rounder flavor. One of the best blue mold cheeses in Sweden! The cheese was first grind in liquid nitrogen to get the right texture and temperature. It was then mixed with grind dried yellow trumpet mushrooms. Very tasty dish from a recipe of the Swedish chef Mathias Dahlgren (among other things gold medalist in Bocuse d’Or and chef of a 2-star Guide Michelin restaurant). Served with an admirable sweet Château Guiraud 1er Grand Cru Classé Sauternes from 2003. Previously, this house was known as Château de Bayle. Château Guiraud was classified first Cru 1855, and together with Château d’Yquem, the only first Cru Sauternes in the municipality. Guiraud had to wait until 1980 to get a proper recognition around the world for their quality wines. In 1981 the Château was bought by the Canadian ship owner, Frank Narby, who transferred the management of the property to his son, Hamilton. It was Hamilton who placed his mascot, the dolphin (in French dauphin) on the family coat of arms and Guiraud label. Logically and a consequence of this, the Guiraud second wine would be named Dauphin de Guiraud. This dish was based on a recipe from the famous restaurant Bon Loc (since log time closed, but at its peak, it housed many of the most famous Swedish chefs). Very good! We forgot the Montée De Tonnerre in the fridge and the wine was consequently way to cold (and I could not even identify this as a Chablis). Raveneau was as always good, even though the wine would have gained from some more years in the cellar. This is a recipe from chefsteps.com (which I again forgot to take a photo of). I enjoyed the yellowfin tuna which was cooked sous-vide for about 45 minutes at 40 degrees C and then chilled in an ice bath. Matched with Bourgogne from Domaine Jean Grivot Échezeaux Grand Cru from 2008. 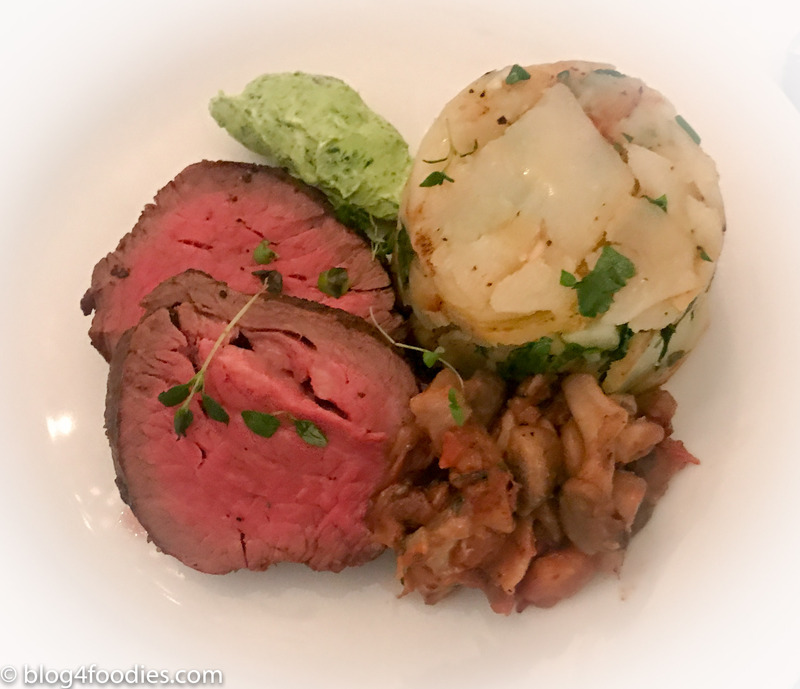 Fillet of Beef is a classical New Year´s Eve dish and I was actually quite hungry when it arrived. High quality meat and a perfect match for my current “state”. Served with one of the wine highlights of the evening; a Château Pichon Longueville Comtesse de Lalande from 1983. I thought it was much younger. Château Pichon Longueville Comtesse de Lalande (commonly referred to as Pichon Lalande or Pichon Comtesse) is a winery in the Pauillac appellation (Bordeaux region of France). The wine produced here was classified as one of fifteen Deuxièmes Crus (Second Growths) in the original Bordeaux Wine Official Classification of 1855. 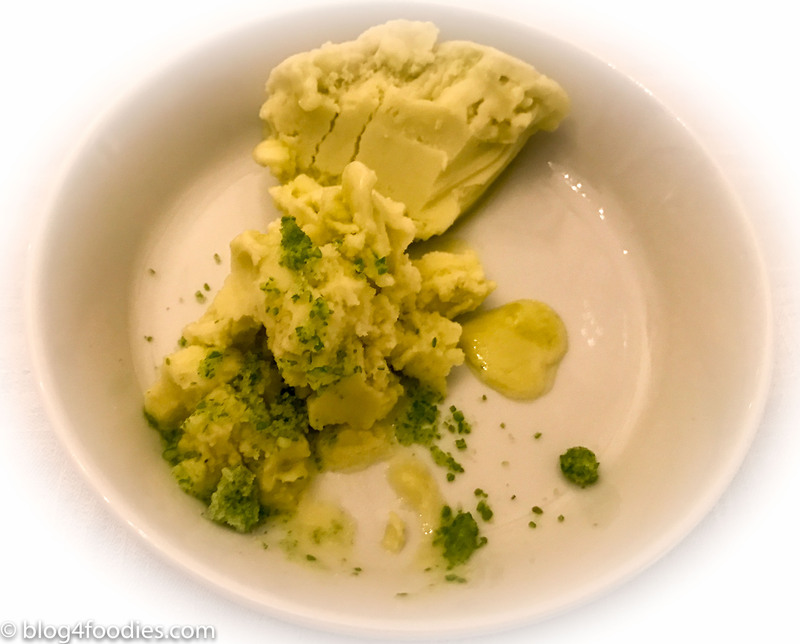 A sorbet of Granny Smith apples, served with a “powder” of Granny Smith peels. Sorbet made with Pacojet and the “powder” was done with the help of liquid nitrogen (and grinded). A dessert inspired by the famous sommelier Andreas Larsson. Good! Matched with a Warre’s Vintage Port from 1980. Burgoyne & Jackson was founded in 1670 by William Burgoyne and John Jackson and over the years had various new partners and name changes until in 1729 the first Warre was involved. By 1791 Warre’s accounted for 10% of all port shipments. 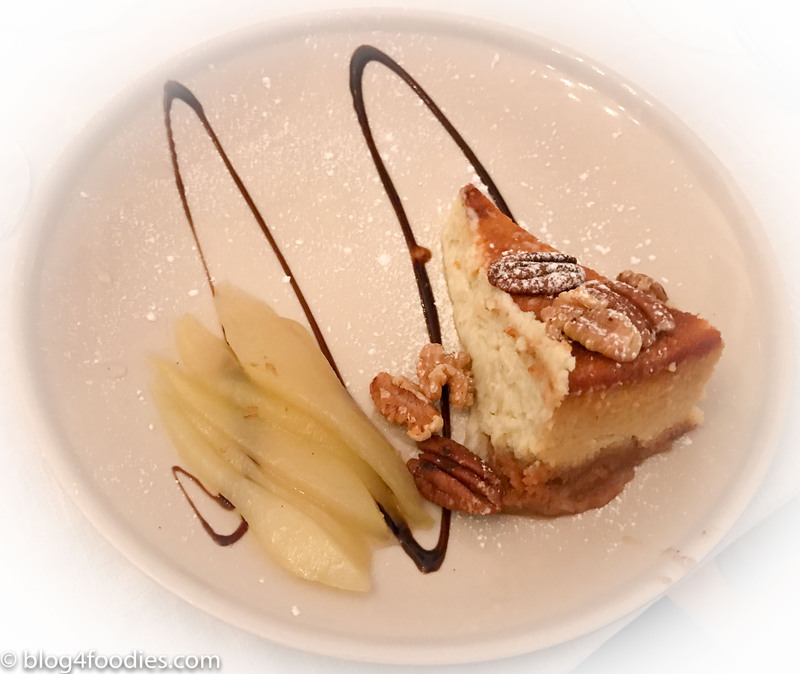 Forgot to take a picture once again… Anyway, this dessert was very fresh and worked good together with the NV Jacques Selosse Exquise Sec Champagne. No picture… Even though we had our first dish at 15:00 (3 PM) we had now passed midnight and entered the New Year. Good texture and matched with a beer; Omnipollo Noa Pecan Mud Cake Stout 11,0%. Summary: I am very happy with both the food and beverages this New Year. Not as “modernist” as some of the previous celebrations (see for example 2013 and 2014) but maybe more “consistent”. 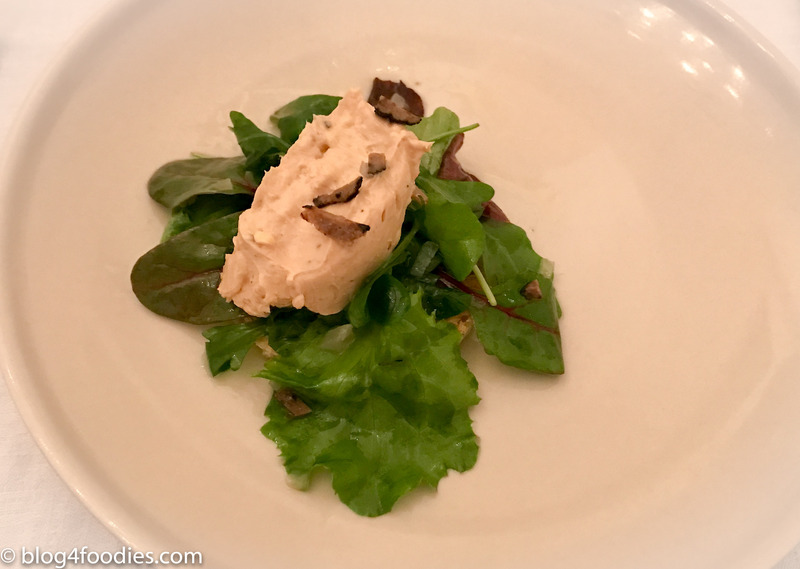 Gallery | This entry was posted in Food and tagged dinner at home, home cooking, New Years Eve Dinner. Bookmark the permalink.